Blog | Turya. Marketing. Research. Advisory. Republished from China Telecom Europe (China Market – Briefing). 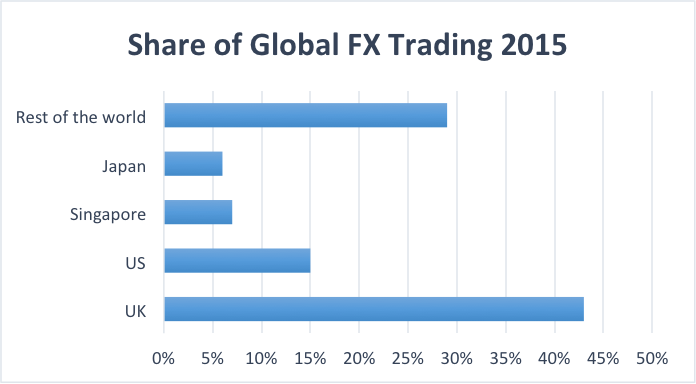 London is regarded as the world’s largest foreign exchange (FOREX) hub and handles over 40per cent of the global volume of around $5tn FOREX being traded each day. The capital is also the home of an offshore centre for renminbi (RMB) exchange and investment. Overall RMB trading volumes have more than doubled since 2013, up 143% with average daily volumes reaching $61.5bn. And that’s set to increase. RMB will not only be used as a means of payment, but also an investment currency for companies to raise funds overseas. The UK was the first major western country to join the China-led Asian Infrastructure Investment Bank (AIIB). Along with expanding the use of RMB globally, this could enhance London’s role as the currency’s offshore centre. To maintain that edge, financial institutions should consider network providers who can offer reliable low latency connectivity, high bandwidth and redundancy tailored to meet the needs for time-sensitive markets. The telecommunications industry in China has invested over US$25 billion in their network infrastructure. Chinese network providers have intercontinental cables that connect the world’s major financial centres – from the US and Europe to APAC – with China. Financial institutions also need a network of high bandwidth point to point data services, known as International Ethernet Private Lines (IEPLs), for next generation Ethernet connectivity right across China. One of the most important focus areas for financial institutions in the Asia-Pacific region is the achievement of superior, faster and more cost-efficient innovations. . China is playing an increasingly important role in the fintech industry; Chinese investment in innovation in Asia-Pacific firms has quadrupled, to hit a record high of $3.5bn in just the first nine months of 2015. China-based institutions have made significant investments in the Payments and Lending areas; two segments in particular have a direct interest in RMB value, with firms like Lufax and WeCash leading the race. China’s market has displayed some unique fintech characteristics and trends that the internationalisation of the RMB will help develop further. For example, there are over 3,000 P2P lending start-ups in China, creating a total lending market of close to $15 billion. It also has a 38% unbanked population, but has also seen substantial growth in the penetration of fintech products and mobile banking. Significant interest from the international community in China’s currency and investments will propel this inward-facing market to massive growth externally, further increasing the opportunities in the payments and lending space. One issue that worries any trader is downtime. Each case of downtime can cost well over $500,000 an hour. That’s why financial institutions must have robust Service Level Agreements (SLAs) with their network providers. The SLA must contain latency commitments which details bandwidth and contingency guarantees. 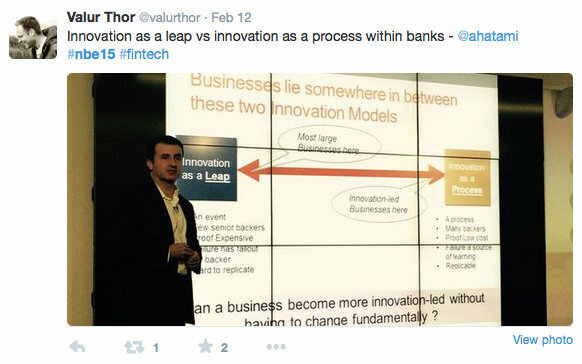 So-called ‘traditional’ banks in Turkey are leading by example when it comes to innovation and resisting disruption from startups. Story by Devie Mohan. While 29 banks are in the race to get their licenses in the UK, including a sizable number of digital banks, Turkey – the social-media-based banking innovation hotbed of Europe – didn’t launch a single new bank in the past few years. Until earlier this month, that is, when BNP Paribas’ TEB launched its digital bank, CEPTETEB. In fact, the digitally obsessed Turkish millennials ensure that #cepteteb is a trending topic on Twitter (which is refreshing to see for someone in the UK, where bank Twitter handles are only used for complaining). Yet, why hasn’t there been a digital bank in Turkey sooner? The answer is quite simple: the so-called ‘traditional’ Turkish banks have been so innovative and customer-experience-friendly that they have been faring much better than the newly launched digital banks in other countries. The UK is notorious for its gaps in customer-centricity in banking offerings. In the US, only 23% of customers are happy with their banks. The ‘traditional’ bank Garanti, with its 12 million customers and 950 branches, launched special products targeting millennials, and ran education campaigns to get them started on current and savings accounts over a year ago. It integrated wallet, savings, loans and offers into a single access point, the iGaranti mobile app. The app even had a ‘conversation’ feature that enabled users to ask questions about their bank accounts. 10 years before banks started fintech incubation and accelerator programs, Akbank, a $12bn local bank, launched an entrepreneurship program to encourage technology adoption related to banking. Turkey’s largest bank, IS Bank, lets customers withdraw cash without cards using QR codes on phones. The banks in Turkey have tried to make even the worst aspect of customer experience an experiment in digitalization. DenizBank started using iBeacon technology to provide a queue number as customers walked into the branch. One of the most hated banking procedures is loan application, so Akbank made this a tad more exciting by providing ‘credit kiosks’ that handle the loan process, right down to ID scanning and loan agreement printing. This wasn’t restricted to just the private banks. 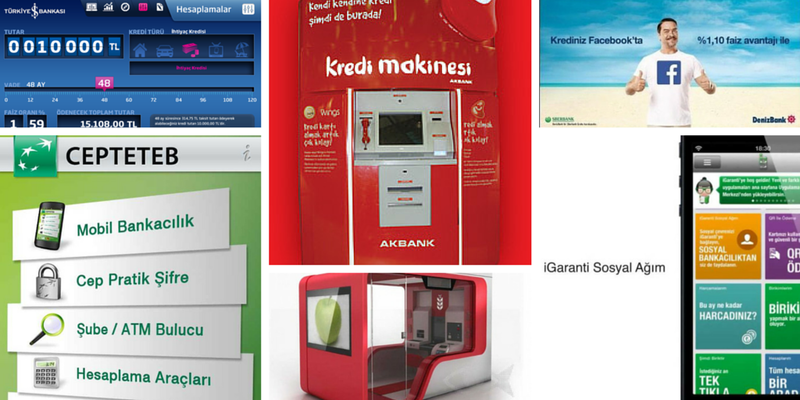 Ziraat Bank, the state-owned bank of Turkey, launched unstaffed video kiosks to replace teller counters, handling money, forex, bonds and bills (branch elimination at its finest! ), proving that the market and the banks (as well as the customers) were ready to embrace digitalization in a big way in Turkey as far back as 2011. The CEPTETEB launch has come at an appropriate time, with the Turkish banking market seeing some unprecedented movements in the past month. BBVA has just become the leading shareholder in Garanti Bank, Turkey’s third largest bank. HSBC is currently in talks to sell its Turkish arm to ING Turkey. BBVA and BNP Paribas investing in the country is an interesting sign, as both have been the largest investors in fintech. BNP Paribas has already launched three digital banks worldwide (including Hello Bank in the UK), and BBVA has announced a venture capital fund to continue its ‘fintech spending spree’. It’s an interesting equation now, with Turkey’s own digital programs versus the larger banks’ experience and investments from outside Turkey. An example would be the recent agreements BNP Paribas has signed with Facebook, Google, LinkedIn and Twitter. These will definitely improve the way BNP Paribas TEB integrates digital media into its offerings. On the other hand, Garanti Bank has offered a Facebook-integrated mobile banking app, and Deniz Bank has been accepting loan applications via Twitter for about three years. The next step in the digital media war would be for both sets of banks to improve the scale of their offerings, ensuring it reaches the under-30 market of Turkey, which is over 50% of the total population today. Turkey is proof that the size of firms isn’t a barrier to innovation. It’s where traditional banks have learned to innovate, and at a faster pace and with less investment than most of its peers. It will work well for the new digital banks to give it the attention it deserves, and of course, learn from it! – This article refers to points made with the best of the author’s knowledge. There could be inaccuracies or discrepancies, as the information is derived from secondary sources. I am happy to announce the results of the Yodlee Fintech influencer survey. 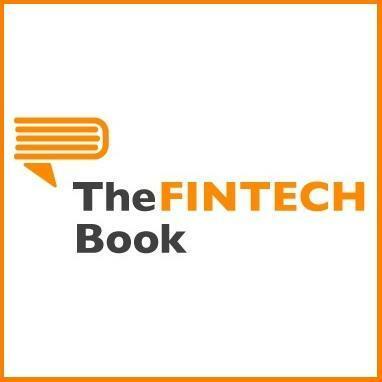 The survey was conducted at the end of 2014 to understand what Fintech experts think would be the trends for 2015. We kept most of the questions open-ended, inviting thoughts on topics ranging from cryptocurrency to biometrics to regulatory compliance. The group found “Security” as a key area of improvement for financial services firms in the coming year. It also found Lending Club and Apple to be the Fintech firms to watch out for, with Stripe and Square not too far behind. Cryptocurrency still garnered a lot of attention, with Big Data, surprisingly, not much of a concern for the respondents. 2015 was also predicted to be the year of the “big deals”. I would like to thank the Yodlee team for giving me the opportunity to conduct this research. I look forward to feedback from all the readers on the big trends to watch out for in 2015! Next Bank was a forum for bankers, FinTech influencers and digitalisation experts to talk about the future of banking – and what a discussion it turned out to be! The amount of innovation happening in the banking industry is unbelievable and the focus is now clear – data. Customer experience, payments and product management are revolving around data and the value it creates and exchanges. I have tried to reproduce some of the discussions here for the benefit of those who could not attend; if it reads as a play-by-play and not as a blog, it is because that is what this is. The introduction to the session from JP Nicols started with a grounding thought on how the real value of ideas comes from putting them into action. JP stressed the importance of understanding networks within organisations in getting things done, including those of the guardians, the radicals and the disillusioned. “For innovation to occur, the idea that failure is not an option needs to be abandoned”, according to Nektarios Liolios. Banks need to rethink the way they work with startups, especially as vendors, with reduced purchase cycles and having the right kind of expectations. They may even need “translators” to bridge the gap of innovation. 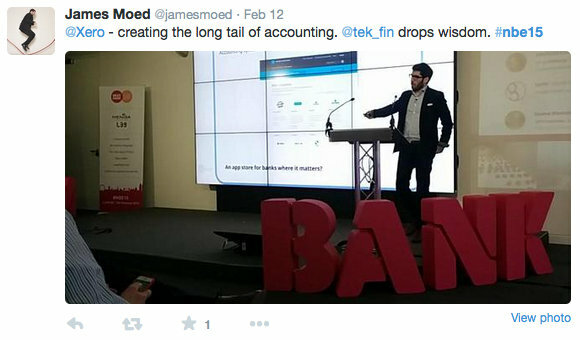 Farid Tejani from Ignitr, spoke of Data being the new capital in the FinTech industry. 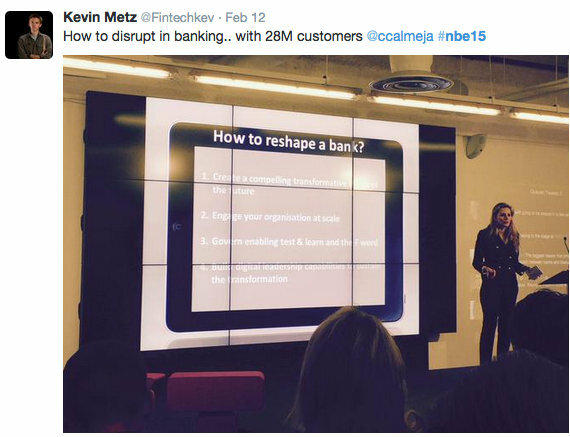 Questions were raised around why banks are failing to innovate as quickly as we would all like, and why there is such a disconnect between banks and startups – how we wish we had the answers! We all loved (and agreed with) his concluding statement that “Culture eats innovation for breakfast”. He talked about how technology should aid the process of people adding value, instead of trying to eliminate them and used an insurance industry example (Mass Mutual Boston) to highlight how creating a local community can also emphasise knowledge and expertise without hard-selling. I must admit that was quite a refreshing view of branch-banking, with the clear message that the right kind of people can add value in the banking customer experience. The Innovation theme was continued by Daniel Gusev with a historical discourse, covering examples of Leto Bank in Russia and BBVA cash machines in Madrid to highlight the battle between automation and human interaction. He also recommends everyone read the book The Checklist Manifesto. Jon Blakeney from I-AM defined “digital branches” for all of us – those that have an omni-channel experience across all touchpoints, with all service transactions utilising technology and with fewer staff/reduced cost to serve. The 10 steps to get to a digital branch was also discussed which included elements like the establishment of a relationship with the customer before they walk into the branch, availability of roaming staff, video links to specialist advisors and measurement of service quality at departure. One of the highlights was the emphasis on shared screens between the customer and the branch staff, enabling a transparent, shared service model rather than the hiding away of certain customer information. The presentation went on to name some of the banks that are actually doing it well, including Bank of New Zealand, Audi in Lebanon, BBVA “Easy Bank”, Odea Bank in Turkey and Umpqua Bank in USA, who have managed to choreograph the customer journey around the three important pillars of People, Process and Technology. Next came Anthemis’ Yann Ranchere’s presentation on FinTech having gone mainstream. What next, is the question all the discussions have lead into, and Yann indicated the necessity to build banking services the ground up – focusing on the core elements like ledger, risk, sales and channels. The best avenue for disruption in banking infrastructure could be through blockchains, which could in turn fundamentally change the role of the bank in the value chain. Xero was highlighted as an example of a company that has successfully created the long tail of the (accounting) industry. Then we had the presentation that had Banking and Minecraft on the same slide – Emilio Calvo Garcia from Media Net started an interesting discussion on how to treat the Minecraft generation (especially his son). That generation is used to buying apps and books online and expects “cool” things from banks as well. 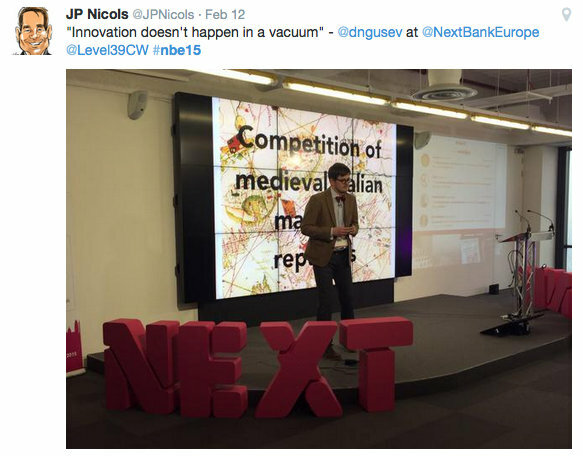 Ninja growth hacks like profiling and personalisation will be crucial for banks to tap into this emerging market. As Emilio put it, “we are facing complex situations, but creating a valuable experience is key”. The fireside chat with Eric Van Der Kleij and Nick Cary from Blockchain covered the Bitcoin-discussion-gap we had begun to face at the forum. And what a discussion indeed. According to Nick, bitcoins are just the tip of the iceberg in reimagining how the world transacts. The mobile phone puts those who live in unbanked communities on an equal footing with people in well-banked countries. Bitcoins, he indicated, is the best way for disintermediation from large financial institutions to happen. He cites the example of his own company, that has a Bitcoin-based payroll, and which takes 40 seconds to process. Nick asked me to possibly avoid featuring his “infamous” line, but it will be tragic to miss such a poignant quote from the event. Julio Faura from Santander started off with a representation of the world of transactions that showed all industries competing with each other. Data is the new oil, but banks have a crucial advantage her due to the amount of trust they hold. 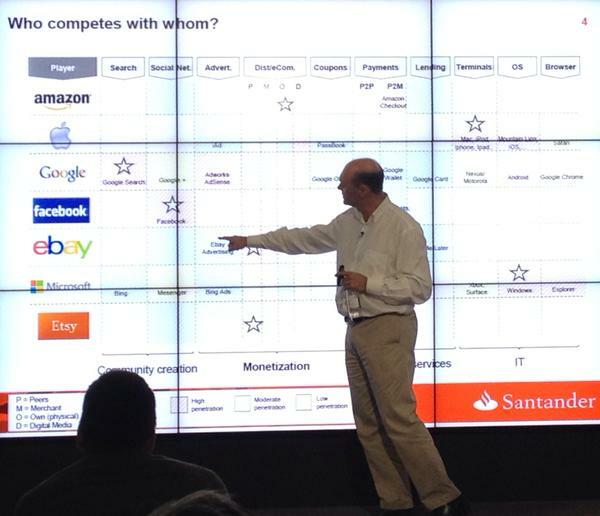 Banks could look at social payments as the entry point to the environment driven by Amazon, Google and eBay today. Chris Skinner concluded the forum with his thoughts on how value exchange is the crucial area to focus on, not FinTech. Facebook, Twitter and even game coins could act as currency in the future. It was a fantastic and fast-paced day of thought provoking discussions and it was great to be in the same room as those thinking “innovative” in the banking and FinTech industry. It was also interesting to see that our massive tweeting got the event trending on Twitter. Any opinions, thoughts or questions, please feel free to drop a comment!